Would you let your daughter go out with an addict? 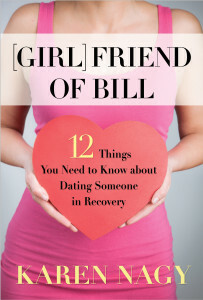 In the title of her book, Girlfriend of Bill, author Karen Nagy riffs on the time-honored public code for mutual AA recognition: “Are you a friend of [AA co-founder] Bill?” Nagy says she was unable to find any material written “specifically for someone who is new to such a relationship or who is thinking about dating someone in recovery.” So she wrote one, and the publishing arm of Hazelden brought it out. People in Hazelden-style recovery (Nagy calls them “PIRs”) can present challenges, since, as Nagy learned by dating several of them, stopping drinking or using is not necessarily the end of the matter. Readers should know that the book is written from the perspective of a member of Al-Anon, who is also a firm believer in the 12 Steps. 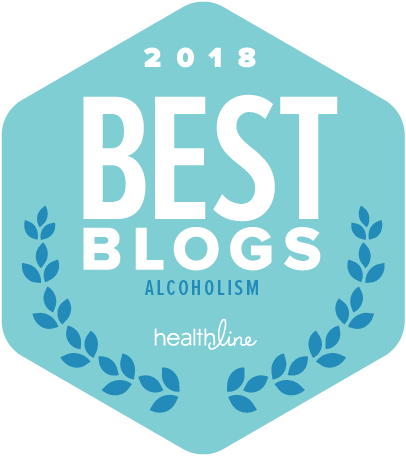 But if dating people who participate in AA or NA is not your thing, than Nagy suggests dating people from SMART recovery, Secular Organizations for Sobriety, church, mental health peer support programs, therapy groups, and so on. Her own experience, however, appears mainly limited to men in and out of 12-Step recovery programs. Her summation of the notion behind the AA/NA concept of a higher power is a common one these days: “Some might call their Higher Power God; others might define it as nature, the positive energy of their group, or an unnamed sense of spirit.” While that may sound naïve to some, what the addict must grasp is that white-knuckle notions of triumph through personal will may have to be abandoned along the way, if we are talking about chronic, active addiction. And she correctly points out that the AA Big Book is “written in an old-fashioned style that hearkens back to the 1930s,” when the amateur self-help group known as AA was founded. Addicts new to recovery may be coming off a period of social isolation, and a sense of being cut off from others. Nagy advises that a summary knowledge of the 12 Steps can be helpful, in particular the business about “making amends” to people one has harmed. Forgiveness is a touchy and ongoing bit of business. It never hurts to say you’re sorry, if in fact you are. Or to say it again.